These beautiful little birds are fairly shy, and getting close enough can be tricky. They’re also quick. This fellow was at Franklin on the riverside walk north of the Wooden Boat School. You have to sneak about slowly. The alternative method of photographing some birds is to drive around in a car. They don’t worry about cars in some circumstances, and you can fire away out the window with impunity. 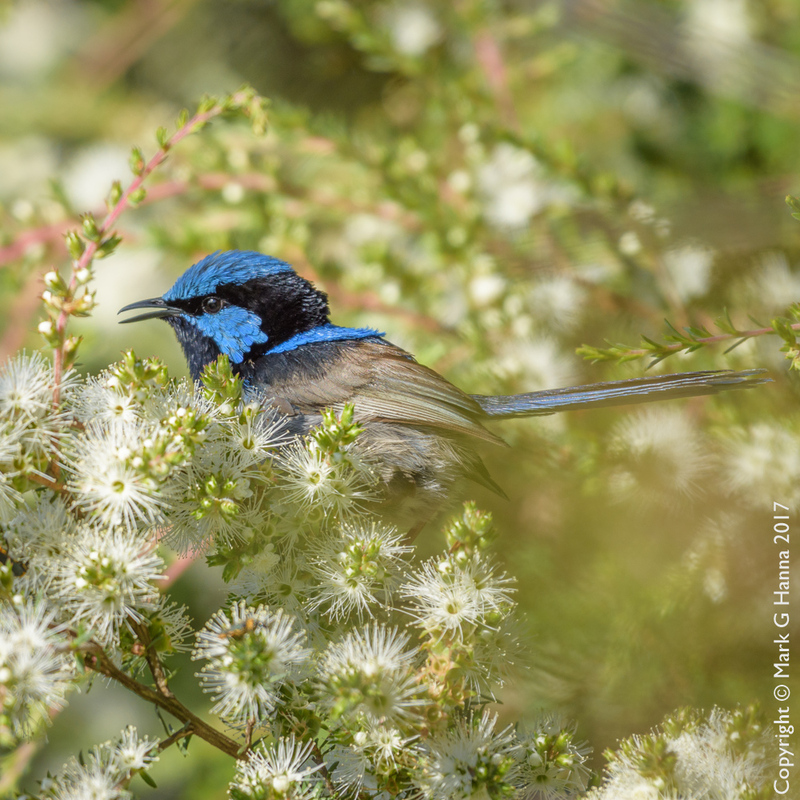 The lady Fairy-wrens are brown, round and sort of cute. Only the blokes have the pretty blue. Some close observers will also note that I misspelt this bird’s scientific name in the early versions of the calendar. This is a great photo Mark. Your blog page is very interesting too. Thanks.